This 50th post is an appreciation of a nature book that remains readable and timely! But, before we appreciate books, let’s appreciate readers and all the people who helped with this blog. Thank you for reading this blog, for trying to work around the software and for helping me make the posts accurate and attractive with art work! 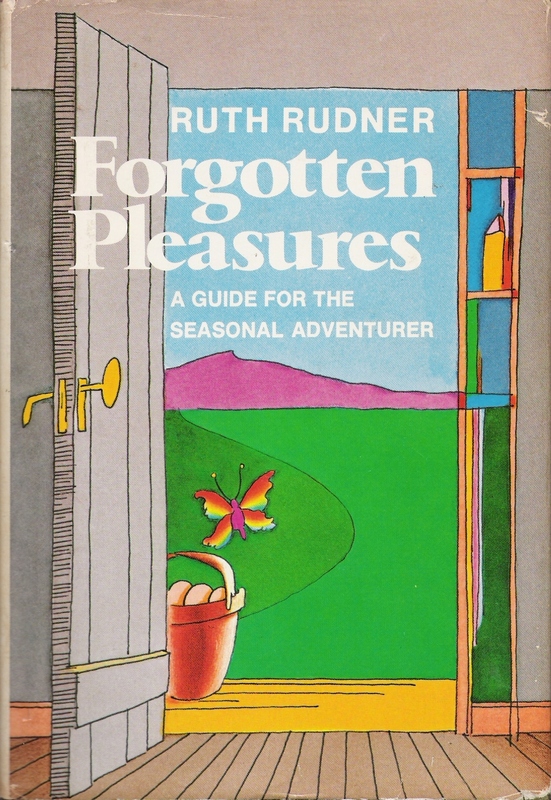 In 1978, Ruth Rudner, a nature writer who now lives in Montana, wrote Forgotten Pleasures. By sharing simple and direct ways to enjoy nature, Forgotten Pleasures was as ingenious as Walden or John Burroughs’ intimate views of the outdoors. 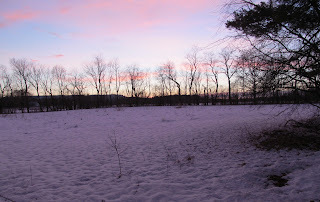 “Our current enthusiasm for getting back to Nature,” Rudner wrote, “has made so great a mystique of equipment that the adventure seems nowhere near as important as the gear we must first purchase.” She went on to explain that adventure can be found in the simplest natural acts, grabbing a bucket and going berrying, or watching the night sky. Following this vote for experience over equipment, Rudner described nearly 50 ways to simply enjoy the outdoors. Some are complex, such as building a replica of Huck and Jim’s raft. Huck Finn rafts aside, most of the experiences might be summarized as “hiding in plain sight.” Rudner chronicles walking, hiking, flying kites, canoeing, learning about butterflies, collecting mussels, body surfing, collecting shells or rocks, skipping stones, sledding, skating and cross country skiing. In celebrating the particular, Rudner anticipated the revival of small farms, locavores and enjoying nature at a time when gasoline prices are climbing again. If a person does not want to spend a lot of money to go out of town, Rudner offers a vast array of great ideas for appreciating nature in the neighborhood. In the late 1970’s, I found Forgotten Pleasures on a pleasant summer evening in a small bookstore in Amagansett, on eastern Long Island. But then, when I wanted to reread the book, I could not find it. I wasn’t sure of the author’s name or title. It was out of print. Finally, a kind person on an ABE Books blog gave me the correct title and the author’s name. Then, thanks to a wonderful place called Watkins Books in Dolgeville (http://www.abebooks.com/home/WATKINBK), on the northern edge of the Mohawk valley, I found a replacement copy. Since she wrote Forgotten Pleasures, Rudner has been writing about nature in general, animals and national parks, tackling the latter subject with her husband, the photographer, David Muench. In a recent note, she wrote, “Writing about wilderness has become important to me; it is one of the ways I can help preserve what we have left of wild country.” That’s a fitting vocation for someone who enjoyed walking out the door with her father, down the street and into the woods. On the Edge: Late Winter and Spring? On March 1st last week, I thought we had turned the corner on winter. 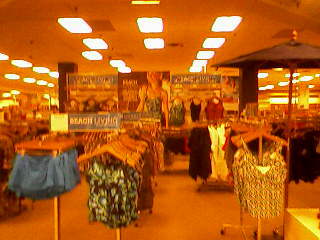 Bathing suits are now prominently displayed in the department stores. But then, winter returned and is queen again. 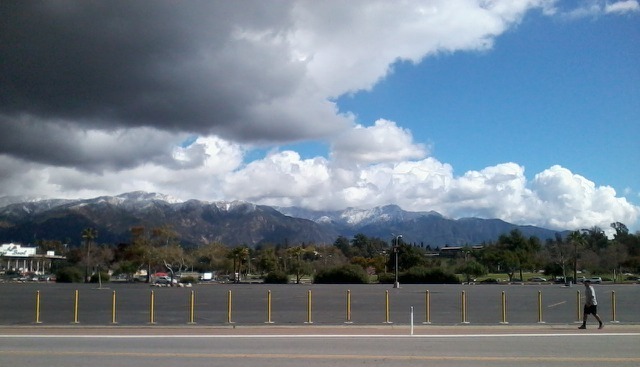 The snow is present on both the East and West coasts, as this photo of the San Gabriels in LA county shows. 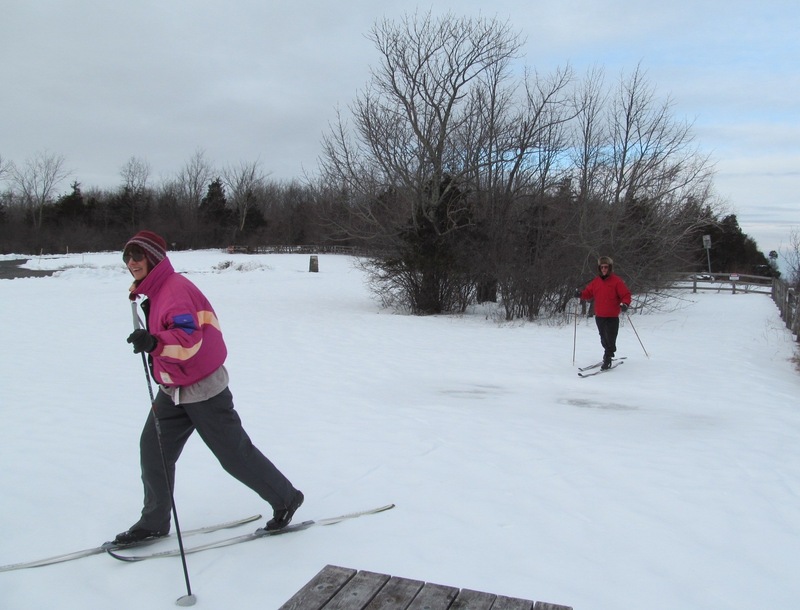 With friends John and Rose, I enjoyed two excellent days of cross-country skiing. In the spirit of Ruth Rudner’s book Forgotten Pleasures, about simple outdoor excursions, and in honor of locavores everywhere, we needed only drive a mere 15 minutes to find great conditions. 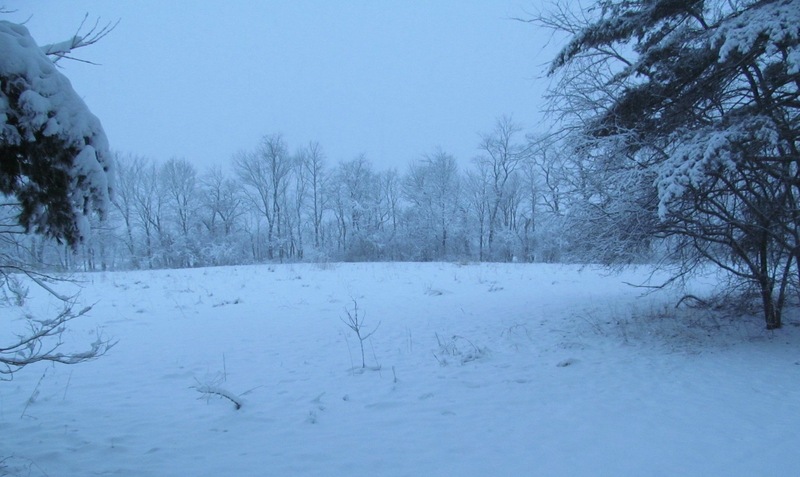 From Pennsylvania north, a large storm dumped lots of snow on the eastern seaboard. On the Virginia coast, my friend Steve reports, " We had about an inch accumulation, lots of rain, probably 2 plusinches, which melted the snow and some decent wind." 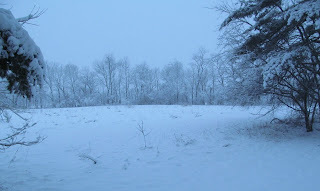 In Albany, in upstate New York, the storm set a record for Friday March 8th, with 6.5 inches of snow. 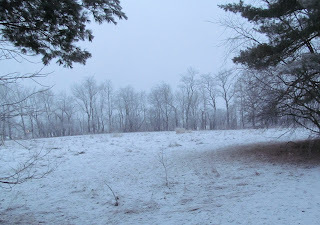 Fortunately, the snow accumulated gradually, but steadily, as the following two photographs show. The other fortunate part of the storm was that the snowblower, which my friend Don gave me when he moved, started on the first pull and made fast work of the white stuff! By day’s end Friday, the snow had stopped and the snow had melted from most of the highways. 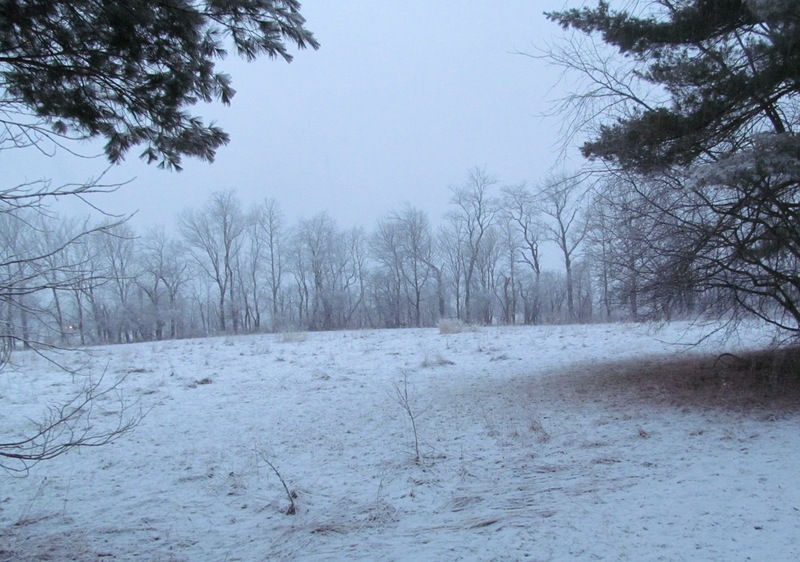 If the weather forecast is correct, it will soon be over 40 degrees and more of the snow will roll back. This coming Sunday, Daylight Savings Time will start. Having the extra time in the evening will help many people take another step to getting in the spring and summer mindset!